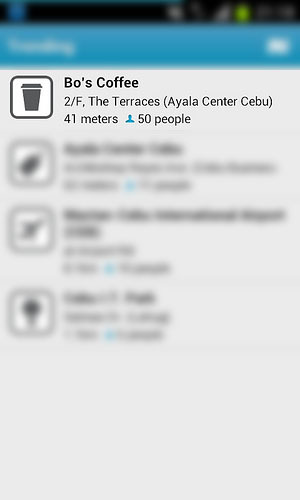 Cebu made history on Foursquare last April 16, 2012. 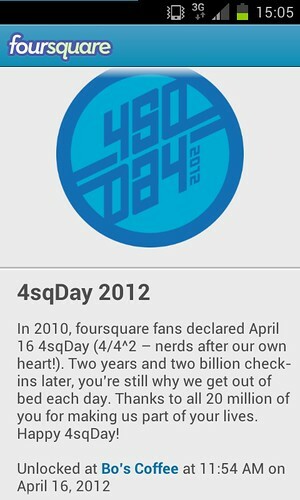 On that day, Cebu joined the world in celebrating the 3rd Foursquare Day. From 7:45PM-10:00PM, at least 50 people (WOW!) checked-in at Bo’s Coffee in The Terraces, Ayala Center Cebu to unlock its first-ever SWARM badge. To support the event, Bo’s Coffee offered FREE DRINK UPSIZE to those who checked-in at their venue. In another corner, Foursquare freebies were given away to Foursquare fans. Simple, but FUN! 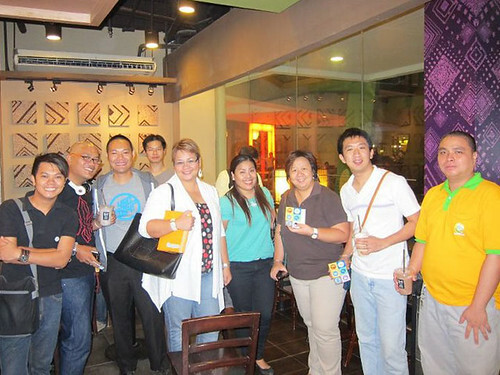 In other parts of the country, Davao celebrated Foursquare Day with food and games! Meanwhile, in Manila, @4sqPhilippines organized a post-Foursquare Day event at Fitness First with cupcakes and group exercise. 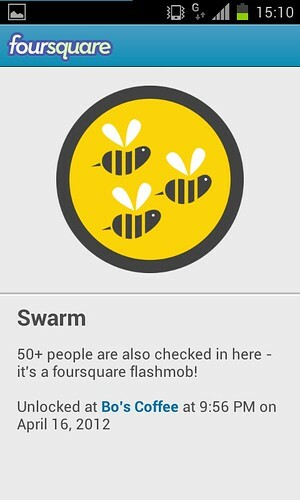 So, what’s next, now that Cebu has had its SWARM badge? Well, I challenge these organizers to level up! Can Cebu unlock a SUPER SWARM badge, with 250 check-ins? We’ll see. NOTE: If you’re a business in Cebu, and would like a #4sqCling sticker for your glass door or window, post below. Click here for pics of the sticker. [Update][2012-05-12] Read Bo’s Coffee’s blog post here: Click me.